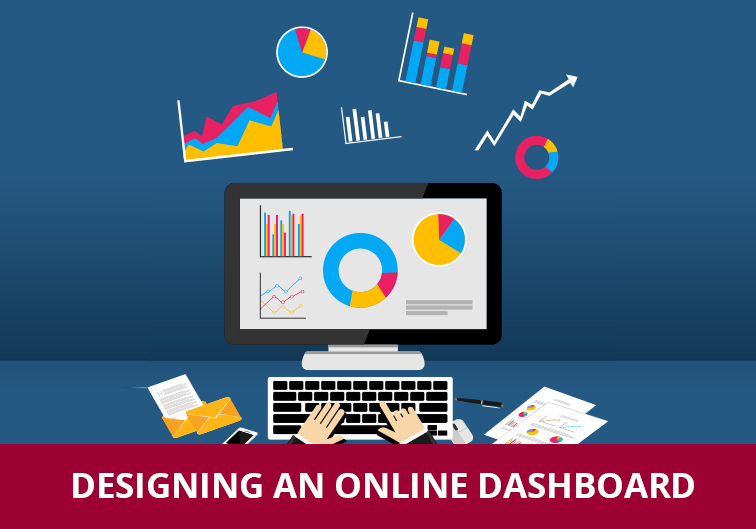 Over the last decade, online dashboards have emerged as one of the most effective business development tools in the market. They gather inputs about relevant metrics from an enterprise’s online and offline assets and visualize them into easily-accessible simple overviews. This helps decision makers make better sense of the data that the organization collects. With a single-glance preview of the most important KPIs of an organization, dashboards can play a key role in improving its profitability and daily processes. Like all forms of knowledge transfer, data visualizations in dashboards need to have a natural rhythm and flow to serve their purpose and enable a deeper understanding of the data gathered. To achieve this,the elements in a dashboard should be designed in keeping with the hierarchical nature of information processing. The overall results should be presented first and followed by a multi-level breakdown of the information that the viewer can zoom in on, depending on the sections they are interested in. We now take a closer look at the importance of maintaining flow when designing elements in an online dashboard. Ensuring flow in a dashboard can help deliver a more intuitive presentation of the data gathered. This takes into account the natural questions that might arise when an individual looks at a dashboard and gives them the resources to answer those questions. This ensures that the data being presented is easily ingrained and contributes to faster decision-making. In most cases, the people using a dashboard to gather business intelligence are not analytics experts. Unless they can easily manipulate the amount and presentation of data as they need, they will go back to using their spreadsheets. A dashboard should be able to give users enough resources to gain an exact understanding of what is happening and why it is happening. This allows leaders and managers to not just monitor performance and progress, but also improve agility and efficiency by cutting down on the decision-making time. Adopting a macro-to-micro approach to dashboard design presents team-leads in different departments with the multi-level breakdown of information they need for specific improvement, in keeping with the holistic growth of the organization. For example, a CEO might want to see organizational and department-wise results, while a department head might be more interested in how each employee is performing. This form of a specification can be applied in other areas as well, and used to gain deeper insights by switching between completely different perspectives – from “where is the traffic coming from and what are they buying,” to “what are the yearly, seasonal and daily sales”.